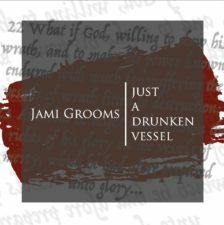 It’s finally here the new album “Just A Drunken Vessel”. It is a labor of love that has been long in the making. Music is my therapy and I have exposed my soul on this record. I’ve shared secrets and given my truth for the world to see. I hope you love it. I hope you share it, but most of all I pray it touches you.